Units can have contrasting internal and external colours. 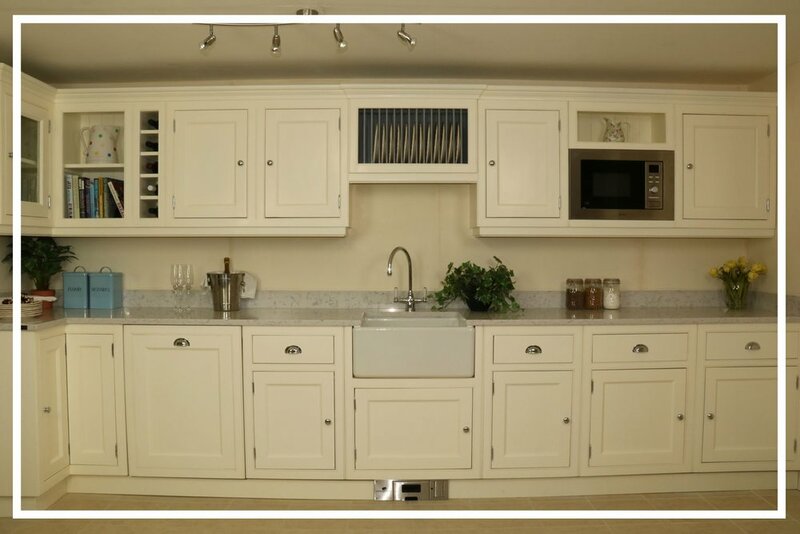 Available with a fully managed kitchen installation experience beginning with personal planning and 3D design package. Appliances and granite worktops supplied at genuine trade prices. The same fully assembled units but typically 30% less. Supplied spray finished in one colour with chrome hinges and handles. This allows us to keep a stock of over 300 items; fully wrapped and ready for immediate nationwide dispatch. Feel free to re-paint in your desired colour if required.